Middle Creek Falls | Just Shooting Memories! Since I don’t get that many chances to revisit places, I have to try to make the best of it based on planing. One of my favorite tools is Google Earth. I use it to visit places before I actually set foot there. If you have photos turned on, you can even get a preview of what you can find there. Possibly even what it looks like at different times of the year. But the ting I have had most success with is browsing the route I plan on taking. That is how I ran across this waterfall. I saw a couple photos in Google Earth and thought I might stop on the way to Frozen Head State Park. Lets just say that I would never have known where this was if I had not seen photos and the approximate location. 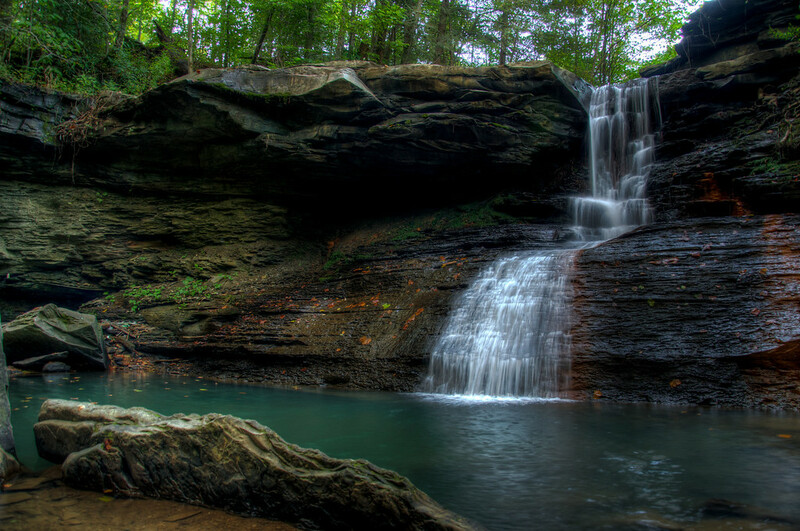 Although the falls are only about 20 yards from the road, they are completely invisible.